The beautiful modern living room, with its contemporary style sofa and eye-catching coffee table of interconnected geometric shapes, seems juxtaposed to the home’s country cottage exterior. However, both are undeniably attractive, and the contrasting styles are coordinated with colour. 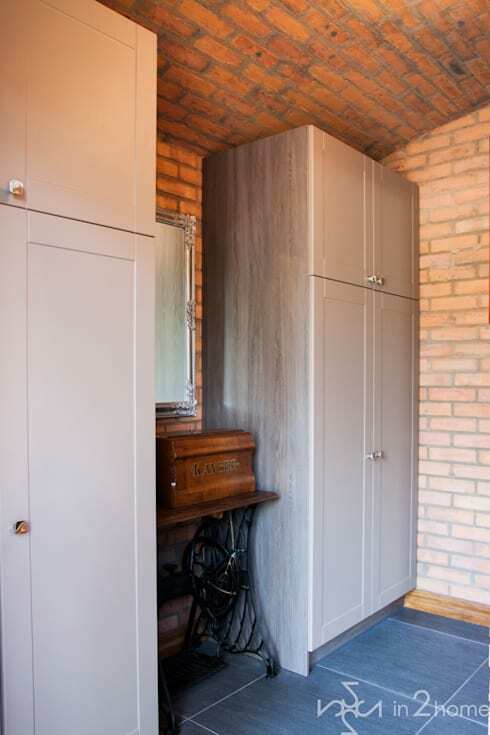 Continuing on, elements of the consistent colour scheme we see throughout the home unify this room with the others, although here we find the rustic style one might expect thanks to the exposed brick wall and antique sewing machine. 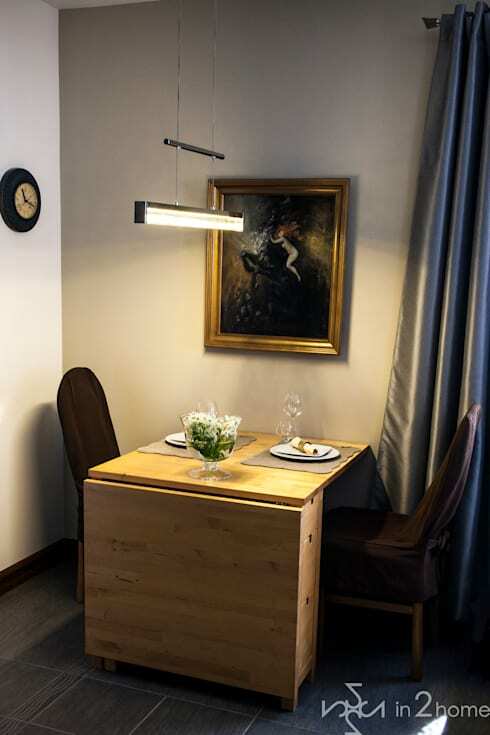 The dark, atmospheric art piece really steals the show in the dining room, and provides a feeling of classic refinement. The metallic drapes and modern, utilitarian table, as well as the unusual light fixture, provide the contrasting modern style elements that characterise the home. In the kitchen we find all the usual, necessary amenities, as well as an abundance of storage space, and lots of natural light pouring through the large window. 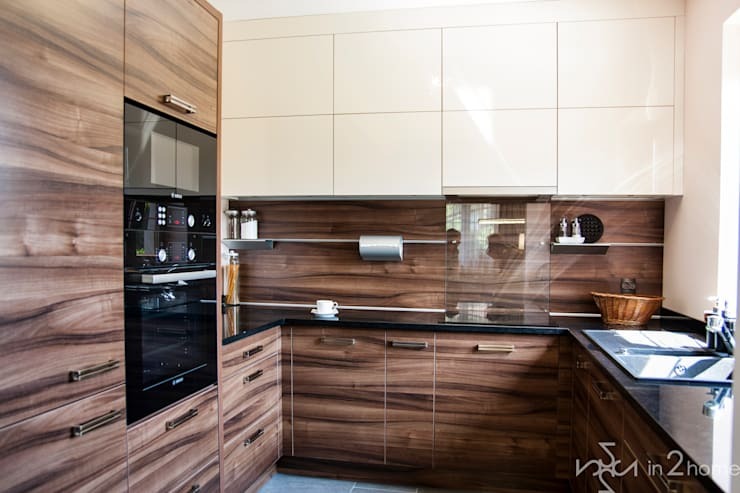 In a contemporary take on classic style, wood effect cupboards and panelling dominate the kitchen. 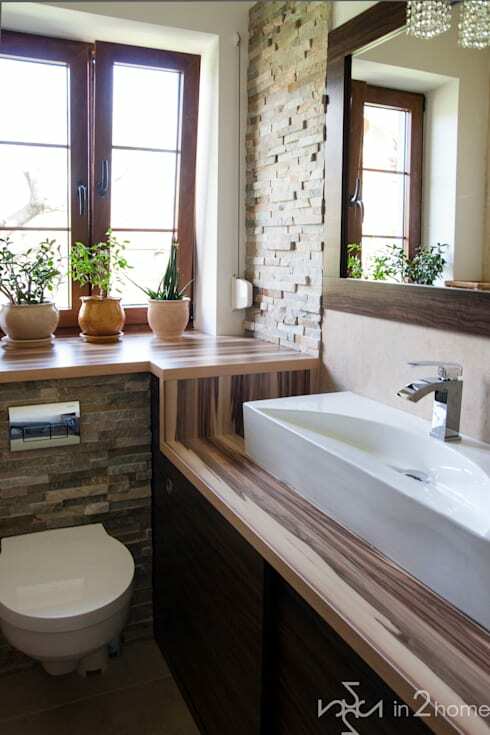 The beautiful bathroom is defined by a predominance of wood and darker colours, in a modern imagining of a rustic style. The plants by the window add a nice, homely touch, and the window itself—in conjunction with the large mirror—ensure plenty of natural light fills the room. The geometric sink with a crescent bowl provide that little touch of modern flair. 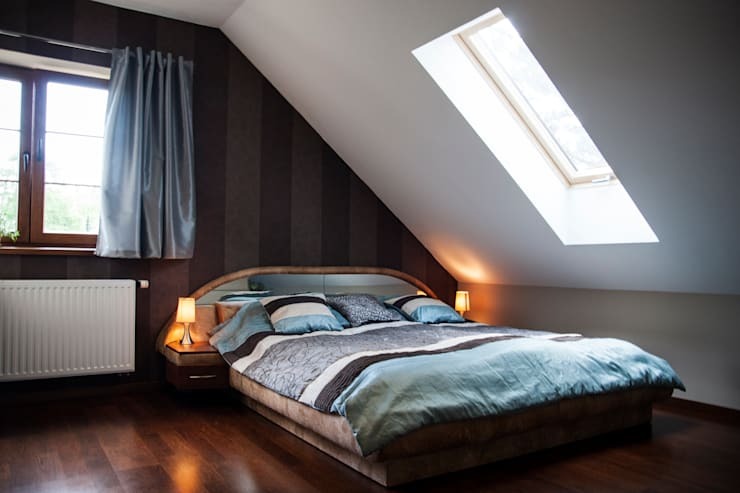 The somewhat minimalist, yet subtly colourful attic bedroom is quite breath-taking! Multiple skylights ensure that there’s plenty of natural light that reflects off the dark wooden floor, and the stripe pattern wallpaper makes the room feel quite unique. The bed sheets, drapes and wallpaper tie the room together with the other areas of the home, thanks to the unifying colour scheme. Finding itself in a grey area between modern and traditional, this unique little home creates a big impact! Take look at this delightful dwelling for another example of great modern, Polish architecture. What are your thoughts on this contrary country cottage? Let us know in the comments below!